BST-S007K3 - Sistem de alarma pentru case/apartamente/birouri de dimensiuni mici, cu apelare prin linia telefonica fixa, accepta pana la 32 de zone de monitorizare wireless si maxim 7 zone wired. 2.LCD screen show the activated zone on the main panel. 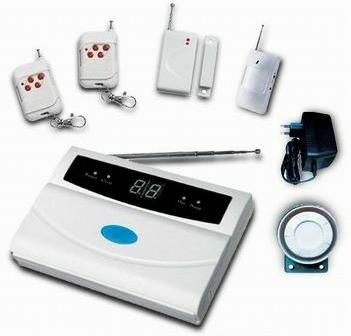 3.Intelligent button to operate the alarm system to arm,disarm,and program. 4.32 wireless and 7 wired zones, compatible with any kinds of detectors. 5.Can set home arm and away arm, suitable for different requirement.